On this day in 1813, Joe Willcocks, the most notorious traitor in Canadian history, received his commission as a Major in the United States army. He had a profound impact on Canadian history and politics, but today he is virtually forgotten in the history books. 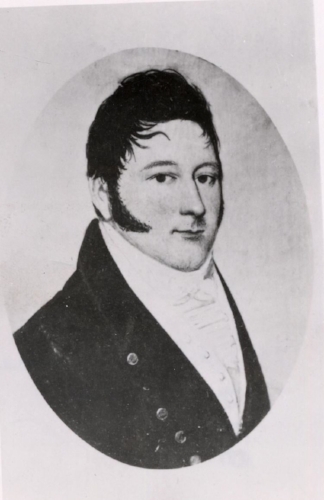 In 1800, at the age of 27, Joe Willcocks had come to Canada from Ireland. He had good family connections in York (Toronto) and found a comfortable place in the tightly-knit social order. But within a few years, he fell out of favour. For one thing, he had the presumption to court the half-sister of his benefactor, Peter Russell, the administrator of Upper Canada. Worse in the eyes of many, he became involved with a group of politicians that was serving as a nascent opposition in the Legislative Assembly of Upper Canada. They were whigs in a very tory administration. First as a newspaper publisher, and then as an elected member of the Assembly, Willcocks fought against the arbitrary power imposed by the colonial administration. When General Brock, as President of the Assembly, introduced a bill to upgrade the militia in preparation for war, Willcocks and his colleagues voted it down. Brock dissolved the Assembly and called for new elections. But Joe Willcocks apparently inspired a loyal following among the farmers of West York, First Lincoln and Haldimand. He was re-elected. Sir Richard Willcocks, Joe's older brother. Willcocks' opposition to Brock's measures did not prevent the General from recognizing his talent and his leadership skills. 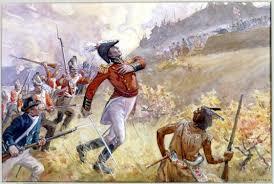 He asked Willcocks to conduct the crucial negotiations with the Grand River Mohawk, whose war chief was John Norton. 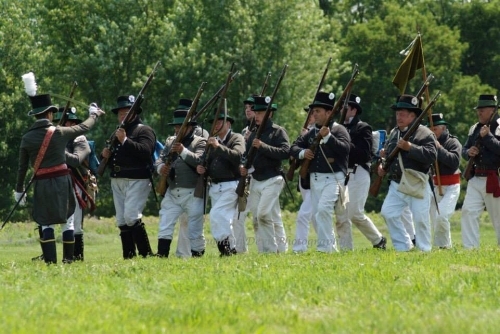 Willcocks succeeded in this crucial task, and two months later fought as a "gentleman volunteer" (ie. 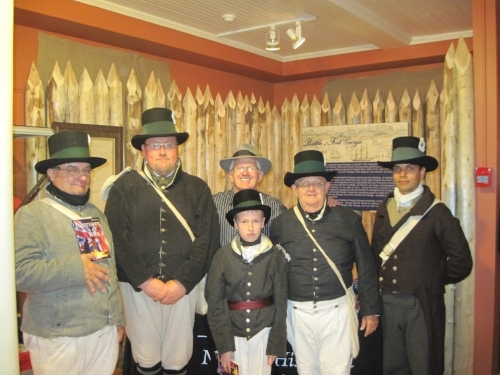 not part of the militia) at the Battle of Queenston Heights. Brock's death in that battle brought to the fore a group of officers and civilians who had less understanding and tolerance for Willcocks' particular brand of independent thinking and reform politics. 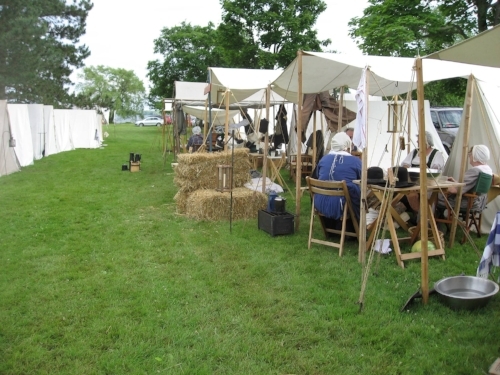 With the successful U.S. attack on York, and the invasion that gave the Americans a foothold in Niagara, this new group in power saw Willcocks' previous opposition to the government as an indication of possible treason. Whether he was forced to defect by his enemies or whether, as Donald Graves suggests in his unpublished MA thesis, he was a mere opportunist casting his lot with what was seen to be the winning side, Joe Willcocks led a delegation of Upper Canadians that approached General Dearborn on July 10, 1813, and offered their services to the American army. Dearborn commissioned Willcocks as a Major -- note, the commission came from a general, not, as would be customary, from the Commander in Chief (ie. President Madison). Dearborn further advised Willcocks that, while he could provide the new regiment of "Canadian Volunteeers" with arms, equipment and rations, he could not offer to pay them. That would have to wait until confirmation by the Commander in Chief. Willcocks' commission took place just two days after the Battle of Ball's Farm, and as a fiction writer, I've connected the two in the work-in-progress, "The Company of Traitors," which will be the fourth book in the Jake and Eli series. Throughout the first three books of the series, Joe Willcocks and his career have provided the historical spine on which the story of Jake and Eli has been built. With the creation of the Canadian Volunteers and the commissioning of Major Willcocks, the story takes another sharp turn.